Hope you are enjoying the journey so far. I can promise amazing whiskies to come as the Secret Spirits Advent Calendar train winds its way across the Scottish countryside. It is so much fun putting this together every year that the inevitable challenges that come along are a great way to keep us balanced. 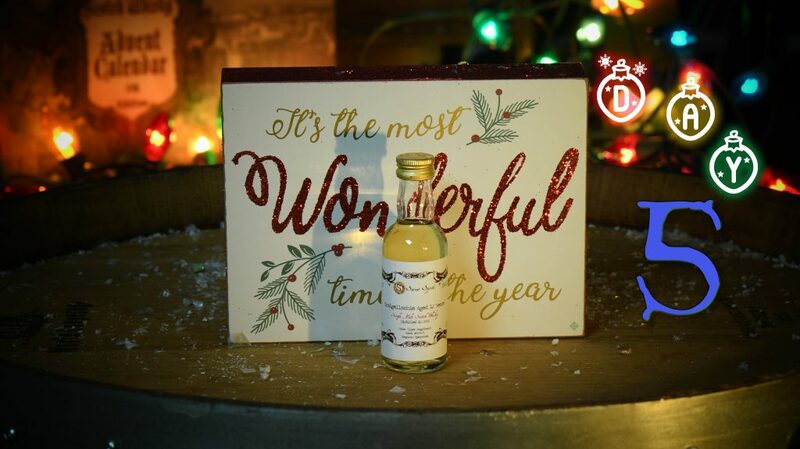 Craigellachie has made appearances in several of our Scotch Whisky Advent Calendars as a definite fave of mine. Being able to access this cask to be bottled by Secret Spirits was a real bonus. Founded in 1891 it now belongs to John Dewar’s & Sons and is one of the backbones of their Dewar’s Blended Scotch Whisky. 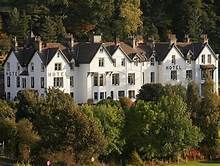 Located in Arberlour, Banffshire near the wee village of Craigellachie. Perhaps one of the reasons why this is such a favorite is an afternoon dram or 3 that I had while visiting the iconic Craigellachie Hotel. 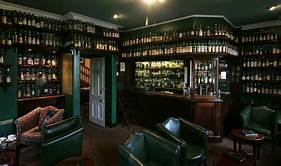 Sporting an overflowing bar of amazing whisky options it is a must stop for any fan doing a Speyside tour. Secret Spirits Craigellachie Single Malt Whisky 12 Year Old – Speyside – Hogshead number 900674 – 61.6% alcohol volume. Colour: Super light Chardonnay’esque colour here on this Bourbon Hogshead. Love the no caramel on these as we have learned that colour does not equal flavour. Nose: Freshly washed hotel towels. Have you ever just pushed your face into a fresh towel that is all soft and snuggly? I do travel a fair bit and can say this is almost a ritual for me when I finally get away from the crazy airport and find myself safely deposited in my room. It’s the floral note and linen undertone that brings this to mind. Along with that there is a lovely freshly roasted fruit driven espresso note. My wife Cindy agreed with this and pictured herself wrapped up in fresh sheets sipping espresso that was just delivered by room service. What a great way to delve into this whisky. 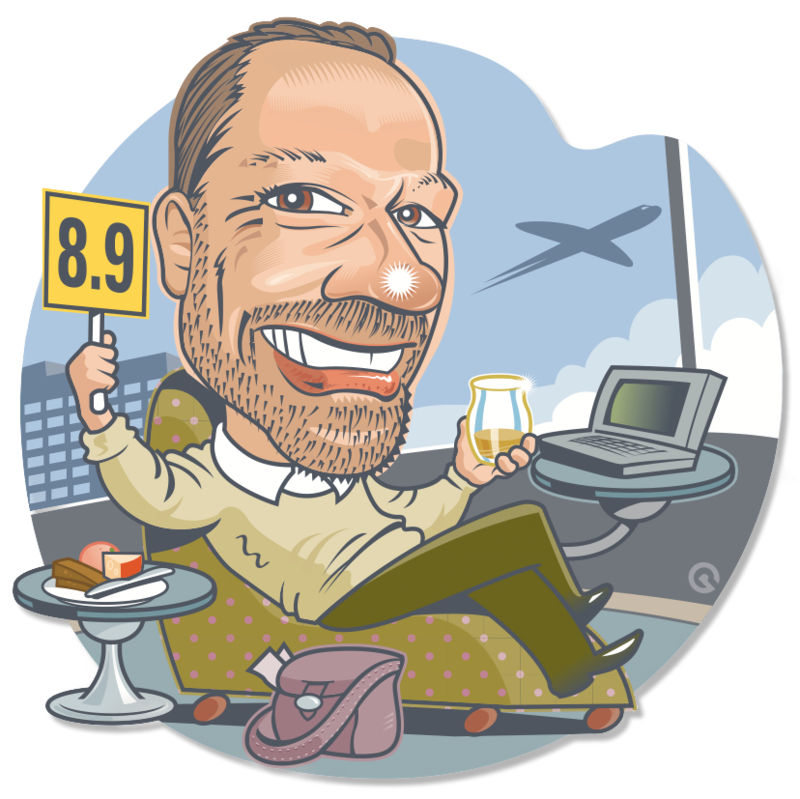 Palate: Baboom baby….. 61.6% is huge and wow oh wow is there a massive basket of fruit that was just dumped on my palate. Ok lets try to figure it out….tinned pineapple chunks that quickly give way to a massive hit of poached pears, those little tins of tiny cubed fruit pieces that I used to take to school as a kid. Pear was always the standout flavor in those even though there was “supposed” to be 4 other fruits involved. Finish: The lingering pear note is crazy on this. This may just be the most Pear influenced Single Malt that I have had in a very long time. When I close my eyes I can picture myself sitting on a bench at recess with my wee teaspoon gulping down those tiny pear chunks and then draining the syrup. Anything over 60% normally gets a mandatory drop of water and I found that the agressive pear note diminished a touch. Actually liked this more while it was spanking me. Kind of like lying under a pear tree at the end of the season and having them rain down on you, ripe soft juicy but just a touch painful every time one hits you. Love it. The good news is that a very select few will be able to access a bottle of this Craigellachie thanks to a remnant of whisky still sitting in the cask once we were done with the mini’s. It will be bottled in 750ml format and be available on a pre-order basis only from our online stores in Canada and the USA. Keep pestering us for details. We will announce pricing and launch date as soon as we know when the bottling will happen. What a treat to bottle a Craigellachie. Well It’s a fun viewing to see how the Whiskey Tribe and Scotch Test Dummies are coming along so don’t forget to check them both out. In the 4th edition on day 5 we had the creamy and delicious Secret Spirits Caol Ila 8 Year Old. This could be a potential spoiler alert for the region we might be visiting tomorrow as we never want you peat heads to miss out for long. Hop aboard the ferry to Islay as we sail across the mountainous seas off the Western Scottish Coast to the land of all things peaty. Back to back wins for Secret Spirits! Apple and pear on the nose for me. Syrupy sweet, prefer with a drop of water. The Glen Moray 9 has the edge between the two but not by a large margin! Wow, well done Jonathan and Cindy! Out of 5 drams, four of them might already be vying for my top three from SWAC5. I hope the peaty ones are of the same excellent quality. Thanks Tony so glad you are loving the adventure so far. Stay tuned even more epic drams yet to come. We have had a few people that think theirs may have been mixed up. We have never had anything switched in production as their laws are very stringent. Does not mean mistakes cannot happen. Each cask gets bottled and labelled at the same time.